Joomla! 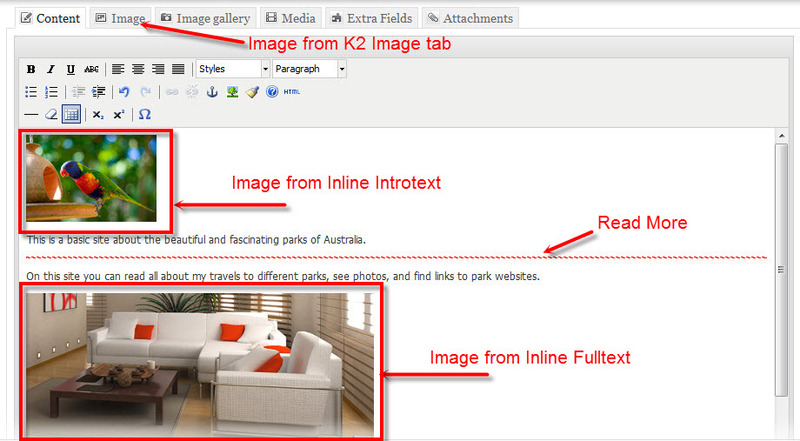 v1.5, 1.7, 2.5.x and Joomla! 3.x latest stable versions are highly recommended. 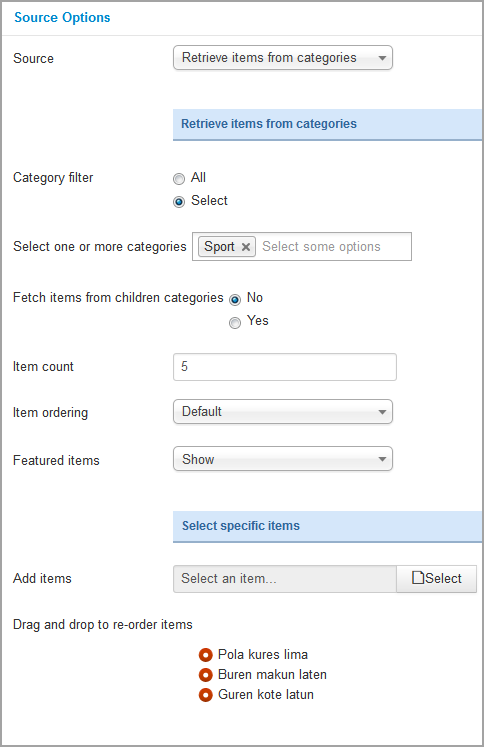 Link Target - Allow to select open link in the Sample/New/ Popup window. 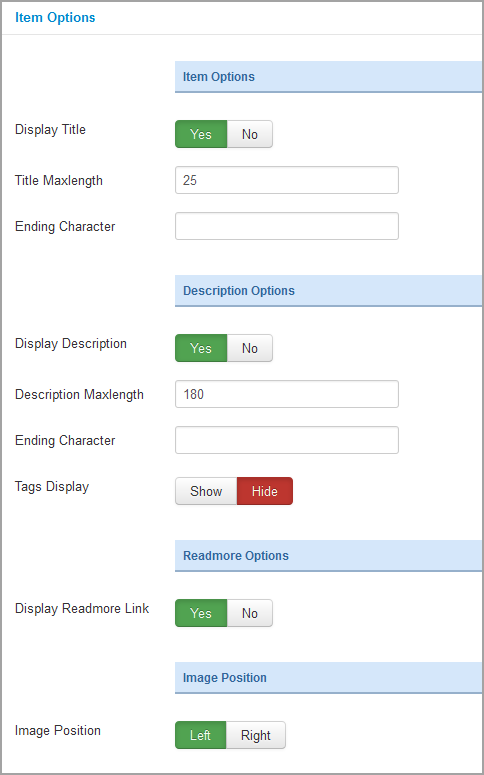 Item count - Allow to set number of articles which will be displayed in the module. Set value "0" if you want to display all items. 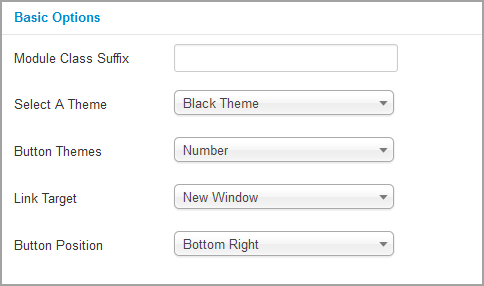 Background - Allow to set the color of big image background. This is applied for showing images without full background. If the image with full background, you can see nothing to change. 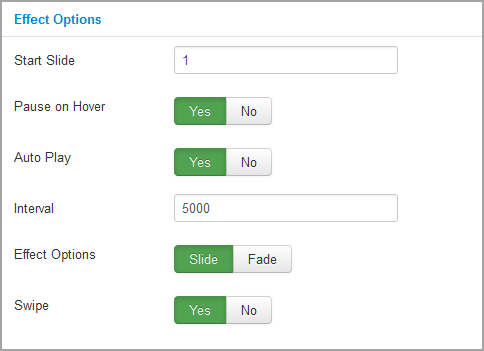 Start Slide - Allow to set the slide which should be initially displayed. 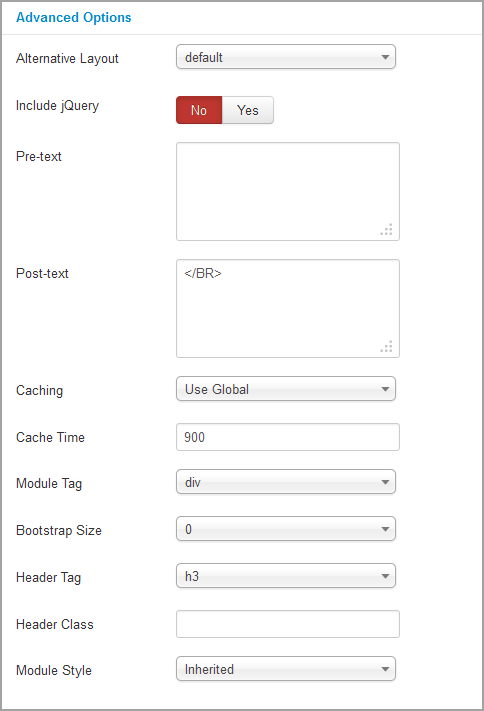 Bootstrap Size - Allow to set the number of columns that module will use.